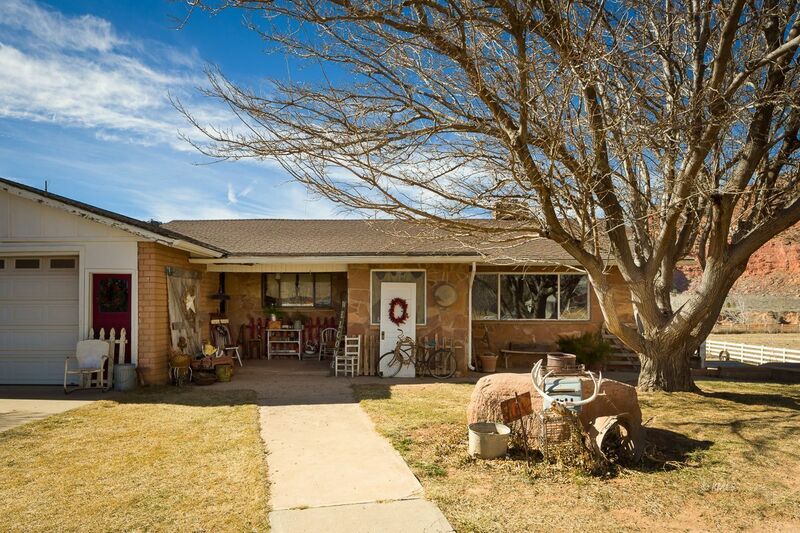 This Sizable 4 Bed 2 Bath Home Offers You the Opportunity to Feel Like You are Living Out in the Country when in Fact, You are Right in Town! Downstairs, there's Another Entire Living Area that Includes a Kitchen, Full Bathroom, 3 Bedrooms, and a Walkout Basement! The Views are Incredible and the Creek in the Back Adds to the Charm! The Huge Workshop is Exceptionally Impressive and Even has an Extra Room Attached! Very rare irrigated farm property in town! This is a "Must See"!